Bikemessenger, wheelbuilder from Ligerowheels could weight the famous Pillar titanium spokes. 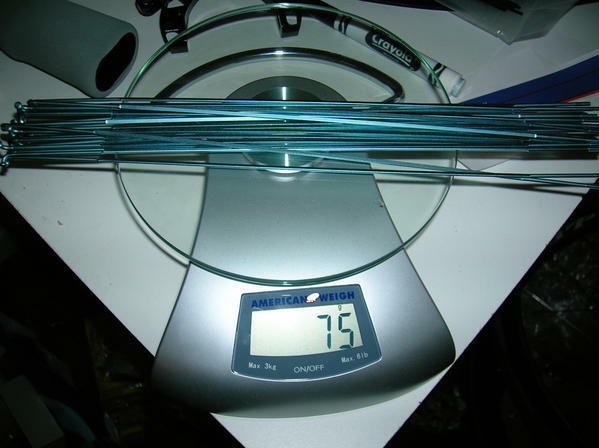 The weight is definitely better than any other manufacturer since the model 1422 PST aero is on average 3.75gr in 294mm. As comparizon, Cx-ray spokes from Sapim well known thanks for their lightness are much heavier with 4.9gr in the same length.